← I Went to Cuba! 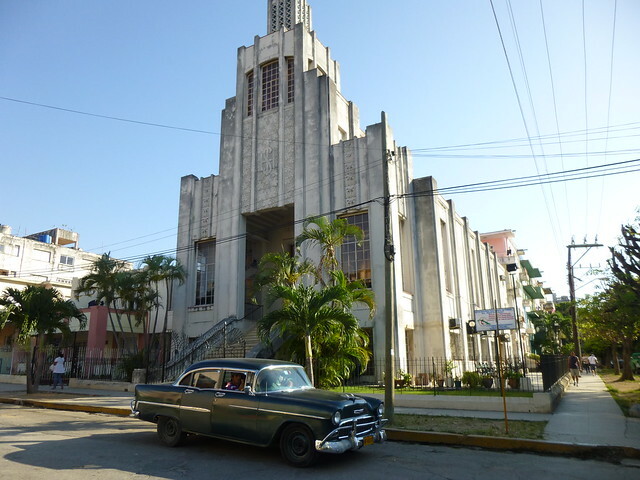 In response to Lyle Horman’s question “What kind of church would visit Cuba, anyway? [“Writer Missed Seeing Reality of Cuban Life,” April 24]: I would like to answer: the United Methodist Church. I visited Cuba with a United Methodist group from Iowa seven years ago. We worshipped in Cuban Methodist churches and helped repair a Methodist parsonage. We met the bishop of the Methodist church of Cuba and discussed the state of the church in Cuba. We met Cubans who were poor but hopeful. They do enjoy free education and free medical care. They have plenty of doctors but few pharmaceuticals because of our boycott. The Cuban economy went sour with the collapse of the Soviet Union. The Soviet Union used to that purchase most of her sugar. Prior to Castro, the United States purchased most of her sugar. The Cuban economy is in bad shape. Increased tourism from the U.S. would help improve it. Trade with the U.S. would help even more. As for Horman’s comment about how Jesus fed the 5,000, many Biblical scholars think that Jesus fed the crowd by convincing them to follow the example of the young boy who shared what he had. Perhaps we need to learn how to share our wealth with the Cuban people. They have a lot to share with us as well.